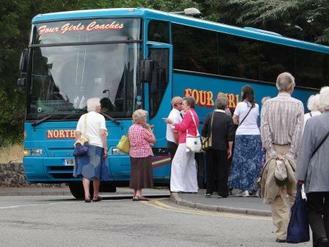 Didn't we have a lovely time the day we went to Bangor and Llanfairfechan!" 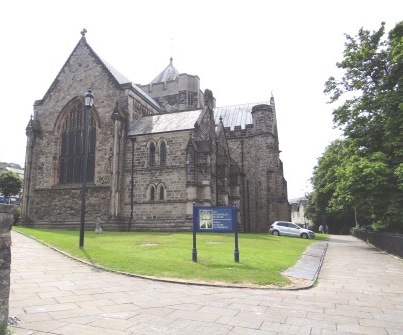 We set off from Chester at about 9.30a.m. 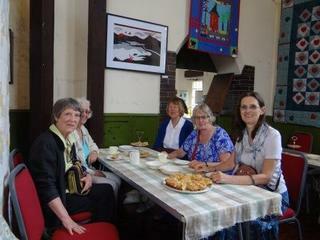 - a happy band of quilters and friends heading for the delights of 2 exhibitions. 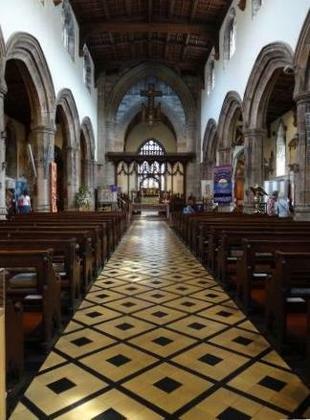 The first stop was Bangor Cathedral and the exhibition of quilts by members of Region 13 of The Quilters' Guild. how could we fail to be inspired? 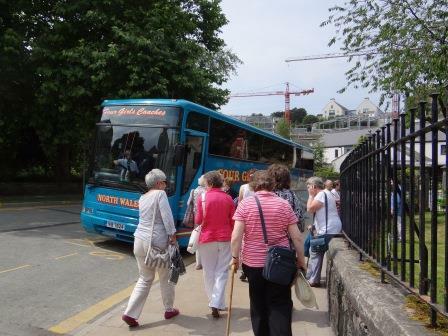 Some people were able to take time out to explore a little of Bangor and enjoy some refreshment before heading back to the coach at 2.00 p.m. for the second part of the trip. 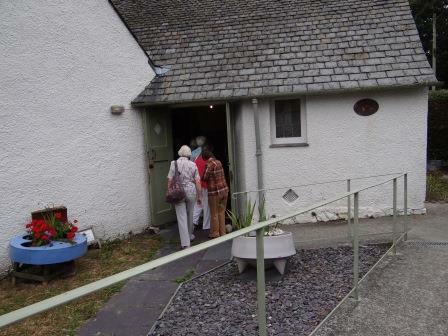 Llanfairfechan is only a short drive from Bangor and our coach was able to drop us off within a short walk of the Church Institute where Abergwyngregin Quilters and Cauldron Quilters welcomed us to their exhibition. Fortified by tea and fabulous cakes we were treated to a feast of colour, pattern and wonderful stitching and we would like to say a huge thank you for our warm reception. By the time we had to return to our coach for the trip home, we were brimming with ideas and plans.